Home » halloween pumpkin recipe » healthy yummy recipes » organic living » organic pumpkin recipes » organic pumpkins » pumpkin for fall recipes » pumpkin health benefits » Top 7 Health Benefits of Organic Pumpkin Plus Recipes! Halloween is fast approaching. What do we usually see during this season? Pumpkins! But don’t be fooled thinking they’re just for decor! – they’re actually one of the most nutritious fruits out there that you should eat regularly. Just don’t forget to choose organic and your family’s health will be taken cared well. 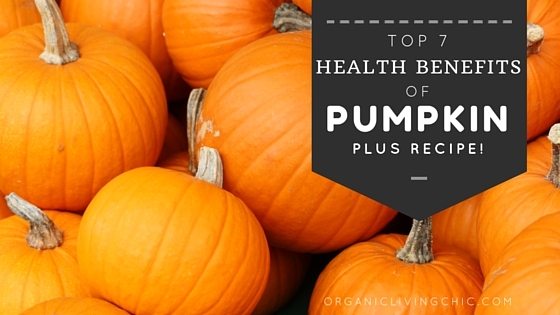 Check out these Top 7 health benefits of Organic Pumpkin below, plus the two healthy and yummy pumpkin recipes! 1. Aids weight loss – Pumpkins are rich in fiber, which slows down digestion. A cup of canned pumpkin contains seven grams of fiber and 20 calories, meaning it keeps you feeling fuller longer on fewer calories. Eating food rich in fiber helps people to eat less, and thereby shed pounds. 2. Keep eyesight sharp – Pumpkin’s brilliant orange color comes from its ample supply of beta carotene, which is converted to vitamin A in the body. It is known that Vitamin A is essential for the eye and helps the retina absorb and process light. One cup of pumpkin contains over 200% of most people’s recommended daily intake of vitamin A, making it the best option for optical health. Additionally, pumpkin also contains lutein and zeaxanthin, two antioxidants that helps prevent cataracts and may even slow the development of macular degeneration. 3. Reduce cancer risk – Research shows that people who eat a beta-carotene-rich diet may have a lower risk of some types of cancer, including prostate and lung cancer. Vitamin A and C are both antioxidants and they act as shields for your cells against cancer-causing free radicals. 4. Protect the skin – Beta-carotene from pumpkins can also help protect us from the sun’s wrinkle-causing UV rays, therefore helping you look younger. The pulp also makes a great all-natural face mask that exfoliates and soothes. 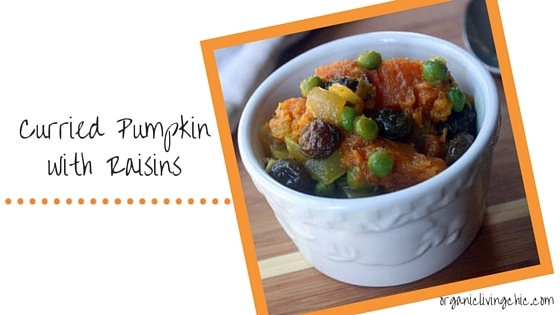 Read my review of a great product that uses pumpkin as the main ingredient. 5. It Helps after a hard workout – Bananas are known for being the nature’s energy bar but cooked pumpkins have more of the refueling nutrient potassium, with 564 milligrams to a banana’s 422. Potassium is an essential mineral we need to keep our hearts and muscles working at their optimal levels. Try adding pumpkin to your post-workout snack or meal for the extra potassium boost. 6. Pumpkin Seeds can help your heart – Pumpkin seeds are rich in healthy fats, antioxidants and fibers. These may provide benefits for heart and liver health, particularly when mixed with flax seeds. 7. Seeds can boost your mood – Pumpkin seeds are also rich in amino acid tryptophan. The amino acid is important in production of serotonin, one of the major players when it comes to restoring our mood. A handful of roasted pumpkin seeds may help your outlook stay bright. You can never go wrong consuming this healthy vegetable! And as promised, here are the easy healthy and yummy Pumpkin Recipes that you can try anytime soon! Enjoy! Heat butter in a large pan over medium-high heat, add onion, and cool until golden-brown, wait for about five minutes. Add garlic and cook one minute more. Mix in curry powder, salt and pepper. Add pumpkin and cook for five minutes, stir frequently. Pour in broth and raisins, cover, and reduce heat to medium. Add peas after 15 minutes. Replace cover and continue to cook until pumpkin is tender, wait for 5-10 minutes more. Garnish with cilantro. Cachaca is a popular distilled spirit from Brazil that is made from sugarcane. If you don’t have cachaca, substitute with white rum instead. Both spirits are made from sugarcane. Mix-up the lime, agave nectar, and fresh ginger in the bottom of a cocktail shakerAdd cachaca/white rum, pumpkin puree, and ice. Shake until thoroughly mixed and chilled. Strain into a glass filled with ice, and garnish with grated nutmeg and a lime wheel. 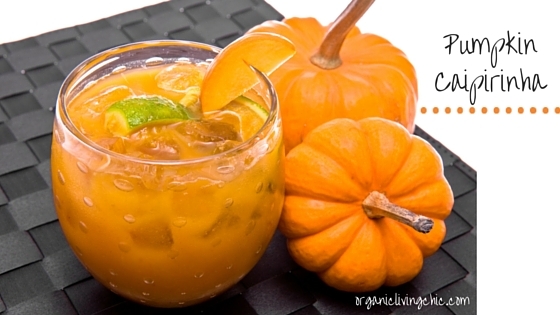 Enjoy these Pumpkin recipes while Pumpkins are still abundant! And don’t forget to share!